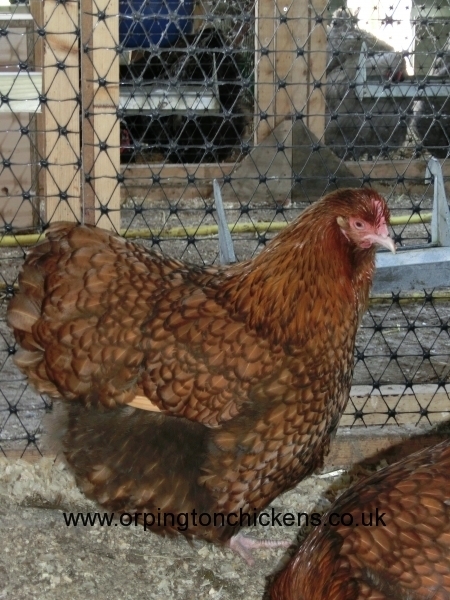 This colour is a very attractive variation of the original Black Gold Laced Orpington ,once again replacing the black with chocolate to make chocolate gold laced. 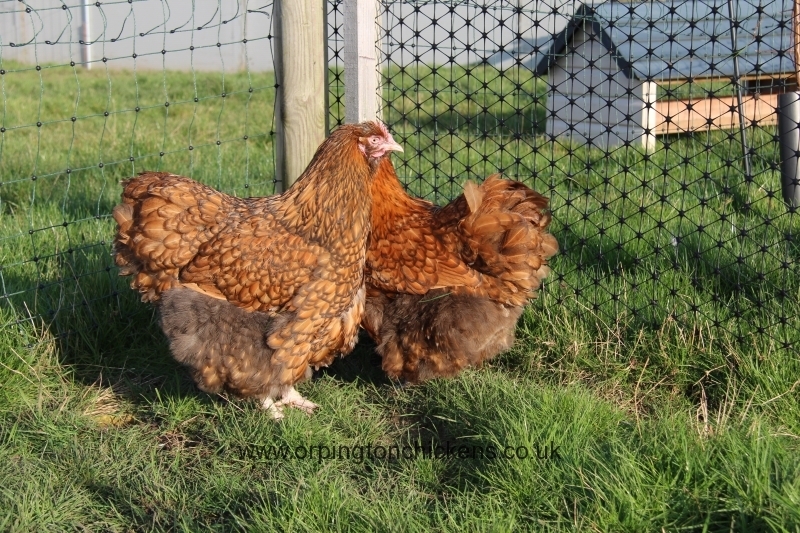 We will be running a trio selected from the best of our 2012/2013 offspring. 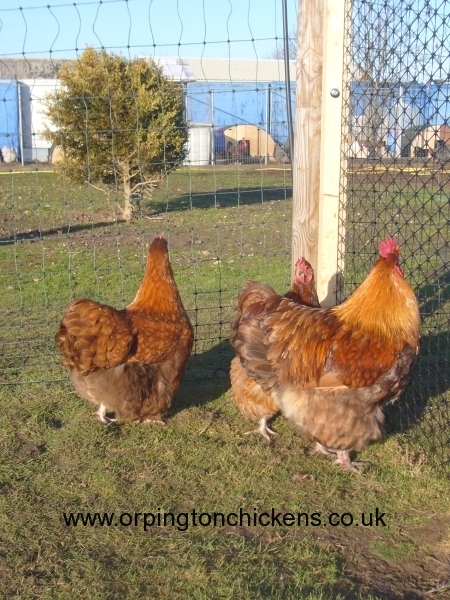 The quality of the lacing is very, very good and the birds are attaining good size and shape. 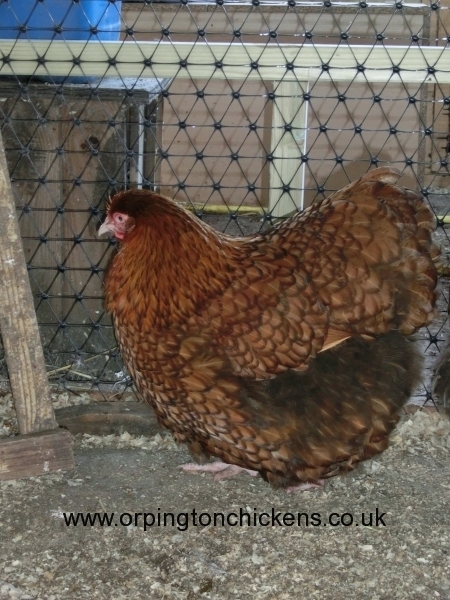 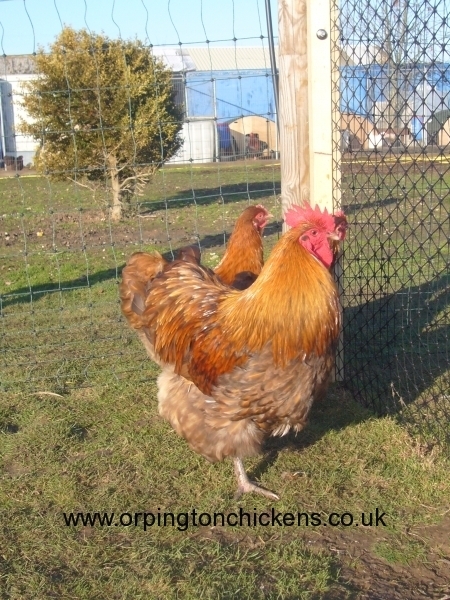 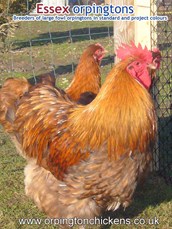 1 x Chocolate Gold Laced orpington hatching egg laid by our own hens. 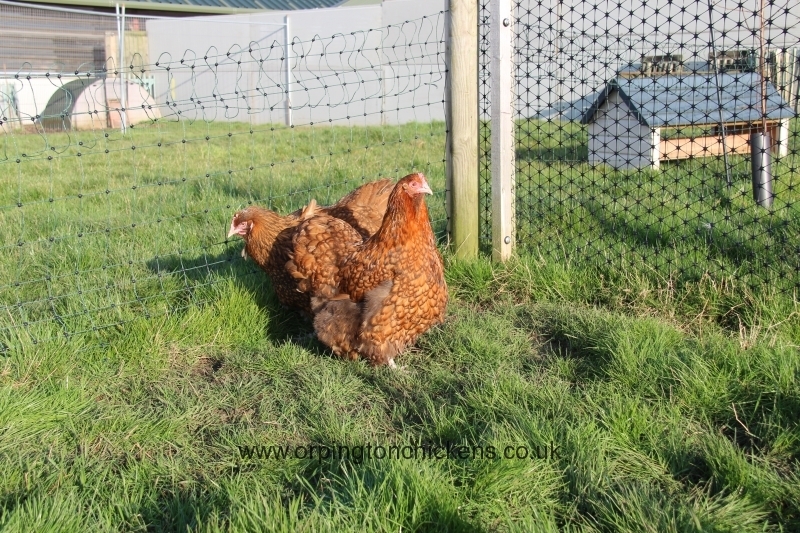 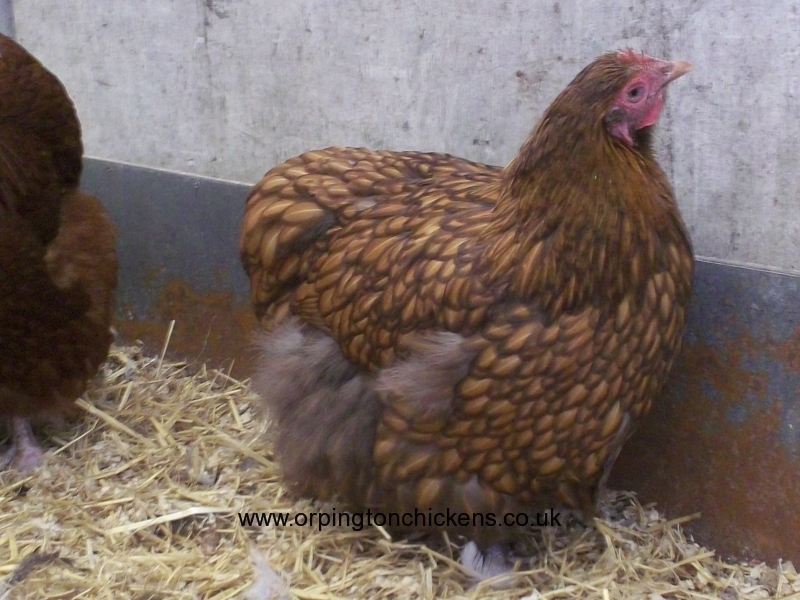 These Chocolate Gold Laced Orpington pullets (pullet is a female under 18 weeks old) have been bred from our own flock and hand reared at our Essex Orpingtons farm.